Here’s a hot new cruiser that’s going to light up the city streets. The new Suzuki Boulevard M50 boasts unrivaled muscle cruiser styling along with a healthy injection of Suzuki technology. 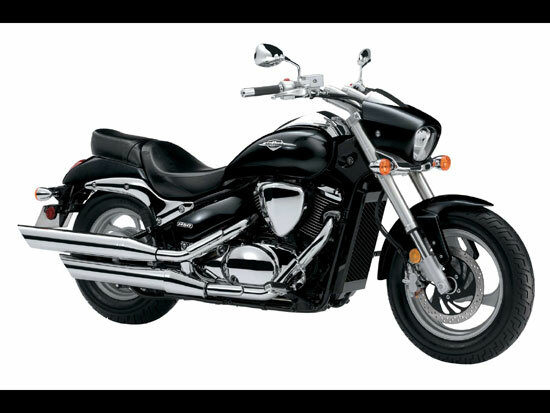 The first thing to strike you is its heritage of design borrowed from the M line of Suzuki Boulevard cruisers. With cutting edge performance, flowing lines and gleaming chrome details, the M50 is the choice for riders who demand an uncompromising combination of the right look, the right feel and the right performance. Check out its pullback bars, contoured saddle, sculpted rear fender and eye-catching slash-cut chrome mufflers. The All New Boulevard M50. The M stands for Muscle! 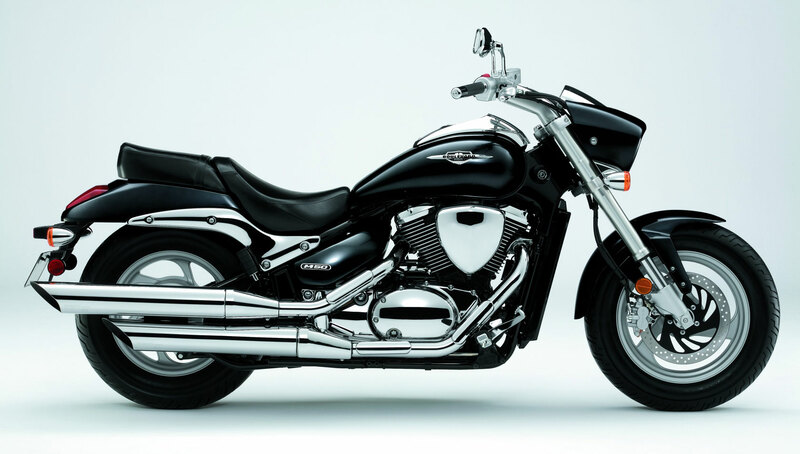 Feast your eyes on the all-new Suzuki Boulevard M50. From headlight to tailpipe, this tough, sleek cruiser radiates attitude. 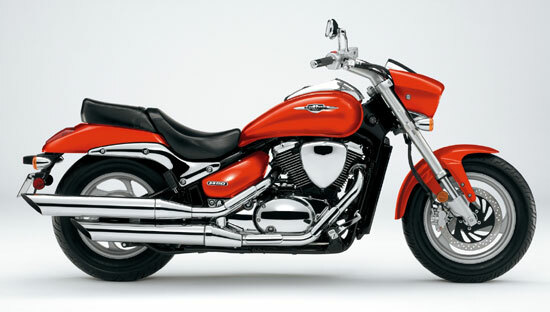 With its 50 cubic-inch engine, the Boulevard M50 is the entry-level model in Suzuki’s ‘M’ range of Boulevard cruisers, which have more aggressive, muscular designs than the classically-styled ‘C’ family. The long and low double-cradle frame combines with a new chromed steel tail section, while chrome-plated finishes have also been added to the engine exterior to match the higher-capacity Boulevard cruisers. A distinctive headlight cowl sets the tone for the Boulevard M50, with its flowing lines carrying all the way through to a wide, reshaped seat, sporty new rear fender and optional new tail section cover at the rear. Beneath its skin, the Boulevard M50 features Suzuki’s renowned world-class engineering, with an 805cc, V-twin, fuel-injected liquid-cooled engine delivering impressive torque from the base of the rpm range. Excellent fuel economy is provided by Suzuki’s Dual Throttle Valve (SDTV) fuel-injection system, which also offers crisp throttle response and optimised power delivery. The Suzuki Boulevard M50. Proof that looks can thrill. 805cm3 (50 cubic inch) liquid-cooled, fuel-injected V-Twin powerplant is built to deliver exciting torque from down low in the rpm range. The fuel injection system with Suzuki Dual Throttle Valve (SDTV) delivers smooth low-to-mid-rpm throttle response and high torque output. A Pulsed AIR (PAIR) injection system introduces air into the exhaust ports to ignite unburned hydrocarbons and cut down on emissions. The engine has a shiny, visually pleasing chrome-plated overall finish. Sleek, flowing Suzuki performance-cruiser styling throughout, from the distinctive headlight cowl to the purposeful tail section. 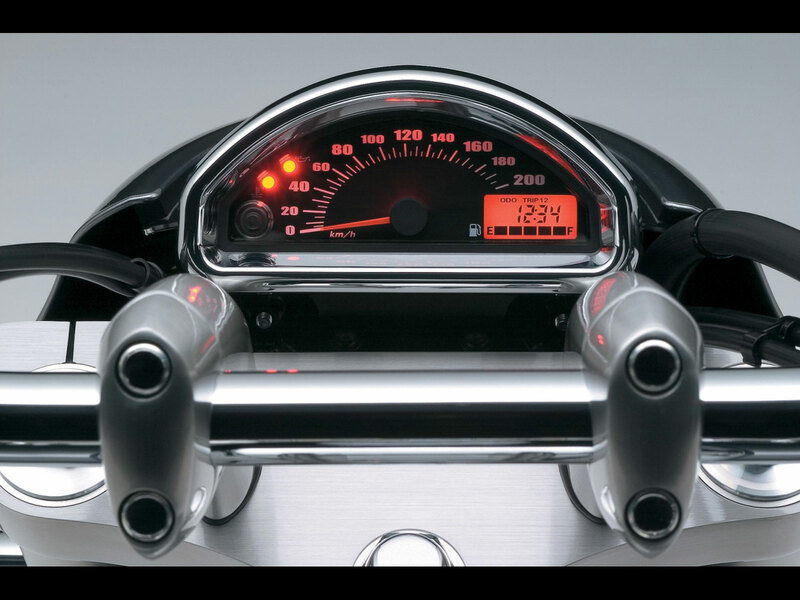 The shapely instrument cluster, neatly integrated with the headlight cowl, includes a fuel gauge and a clock. Cast-aluminum 16-inch front/15-inch rear wheels, with a gleaming silver finish. 41mm inverted front forks add sporty looks and performance. The LED tail light is shaped for a neat match with the tail section design.